Efficient management of the distribution network, which is the interference between the discoms and the consumers, is imperative. The key components that will play a significant part in the ever-changing scenario are the switchgear and controls. The World Bank recently has put out a report in which the demand for electricity in India is growing at the same rate as in France or Germany as millions of people in rural or impoverished areas seek access to power in their homes and workplaces. However, it also states that 240 million people in India still have no legal electricity connection. But with its 1.3 billion population, India is the world's third largest consumer of electricity. The report further says over 450 million ceiling fans are in use and 40 million sold each year in India. Taking into consideration the Ministry of Power data, in 2015-16 alone, around 7,108 villages have been electrified which is 37 per cent higher than the past three years. The state-owned distribution entities and private discoms alike play a crucial role in ensuring the continuous and quality supply of electricity. As the distribution network is spreading its web into wider geographical areas, the demand for switchgear and control systems are climbing up. Efficient management of the distribution network, which is the interference between the discoms and the consumers, is imperative. The key components that will play a significant part in the ever-changing scenario is the switchgear and controls. Also, due to rise of commercial, industrial sectors clubbed with initiatives such as Make in India, the switchgear and controls market is expected to continue its growth momentum in the near future. The transmission and distribution (T&D) grid in the country is evolving into a more dynamic one by every passing day. Unlike the past decade, last mile connectivity is gaining the required attention in the last two years. This is thanks to government initiatives like Ujwal DISCOM Assurance Yojana (UDAY), Integrated Power Development Scheme (IPDS), Deen Dayal Upadhyaya Gram Jyoti Yojana (DDUGJY), and 'Power for All.' These schemes are considered the primary drivers of the switchgear and controls markets. To achieve the set targets in generation capacity addition and giving access to electricity to all, GoI is planning to reach a renewable energy capacity of 175 GW by 2022. Adding more renewable capabilities and integrating it into the grid means there is a growing need to add capabilities in the T&D network; and switch gears and controls will be the equipment that will play a pivotal role here. The appealing fact is that the power sector, especially in the distribution network is coming out of its slumber slowly. All thumbs up to the positive outcome of the UDAY scheme that gave the leverage to discoms to manage the ever-accumulating financial issues that were glaring at them for long. Sector analysts are of the opinion, that India as a country lags far behind in adoption of the latest technology. Consider power distribution - despite the enormous rewards in terms of human and installation safety, increased energy efficiency, etc., the switchgear panel remains a black box. While this is slightly less true of motor control in industries, it is still far away from embracing the transformational potential of connectivity in industries. All agree to the fact that, the discoms are moving to track where most of the crucial unattended issues are being addressed with dedicated efforts. This according to the industry will change the fortune and the markets for switchgear and controls. The available data suggests that the total value of the global high voltage (HV) switchgear market was valued at the $11.6 billion in 2016. And the forecast for 2021 pegs it at the $15.86 billion. Registering a compound annual growth rate (CAGR) of 6.4 per cent between 2016-21. Geographically, the global market is segmented into seven regions; North America, South America, Eastern Europe, Western Europe, Asia Pacific, Japan and the Middle East and Africa. Asia-Pacific leads the pack with the majority share in global switchgear market, followed by North America, South America, and Europe respectively. 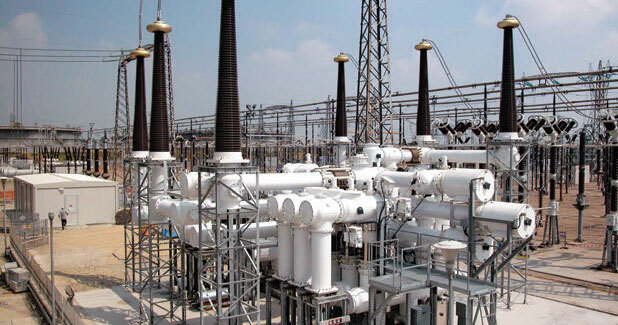 As Asia-Pacific region is expected to dominate the global market in the short term and the medium term, emerging countries like India and China in the region are extensively up grading and installing new transmission lines and distribution networks which are considered as the movers in the global switchgear market. 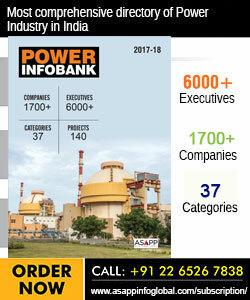 A report titled 'High Voltage Switchgear Market, Update 2017 - Market Size, Competitive Landscape, Key Country Analysis, and Forecasts to 2021,' put out by Reporter Link suggests that, 'China, one of the fastest growing economies with a largest fleet of transmission substations, topped the global HV switchgear market in 2016 with a value of $2.69 billion and is expected to reach $3.3 billion in 2021. It represented over 23 per cent of global HV switchgear market in 2016. China is the world leader in ultra-high voltage (UHV) transmission having made massive investments to develop transmission system of voltage level 765 kV and above. The country has higher potential for Gas Insulated Switchgear (GIS) in the Asia-Pacific region. Both 72-172 kV and above 172 kV segment have almost equal contribution in the country. By 2021, the share of China is expected to be 21 per cent of the global market value. 'India ranks second, next to China in global HV switchgear market with a market value of $976.2 million in 2016, contributing 8.4 per cent to world market. The power grid of India is in development stage, and investments have been made to strengthen the regional grids and to develop transmission capacity between interconnections,' it said. 'During the forecast period, share of GIS is expected to be higher than that of AIS, especially in voltage segments 400 kV and above. The GIS market is driven by utility sub-station demand, requiring HV switchgear with a smaller footprint to overcome space constraints. By 2021, the HV switchgear market of India is expected to reach $1,828 million by 2021, contributing close to 11.5 per cent of the global market,' the report further added. Over the past half-decade, there has been a drastic emergence regarding technology in the switchgear and controls that revolutionised the segment. 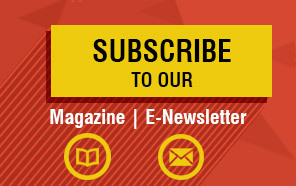 Technology enabled the industry to the concept of connected devices that enhanced the 'communication' space with real-time updates. India, along with capacity addition in renewable energy, is looking at implementing smart grid application in both transmission and distribution segments. Smart grids are technology intense application that will take the last mile connectivity of electricity to the next level. Once the implementation starts, that will for sure push the switchgear and controls market further up. Smart power distribution in industrial terms means intelligent Motor Control Centres or iMCCs. The systems like SCADA, EtherNet, etc., will be the backbone for the smart grid applications. The Indian switchgear and controls market is matured and highly competitive, especially for volume-driven products such as MCB, MCCB, and HRC fuses. Fluctuating raw material prices, inadequate budget allocation electrical equipment products, imports from other countries are challenging for the domestic industry. In addition to the large MNCs dominating the market, there are a number of local players. However, the ageing power infrastructure, HVDC transmission networks will also create higher opportunities in the switchgear market. New buildings, OEMs and renewables will be the three primary segments that will give traction to the switchgear and controls in the next few years. Data centres, utilities, hospitals/healthcare, industries like pharma, F&B, and auto mobiles will continue to give a push to the segment market. In the current era of fast urbanisation, Smart City initiatives will continue to see steady demand. Going forward, these buildings will be adopting the green building parameters. The 'Make in India' initiative will further fuel the demand. Renewable worldwide come to the fore front in the last couple of years and India is no different. Solar, wind and hybrid have been given particular attention by the government. The Switchgear and controls in the next five years will continue to have positive growth.